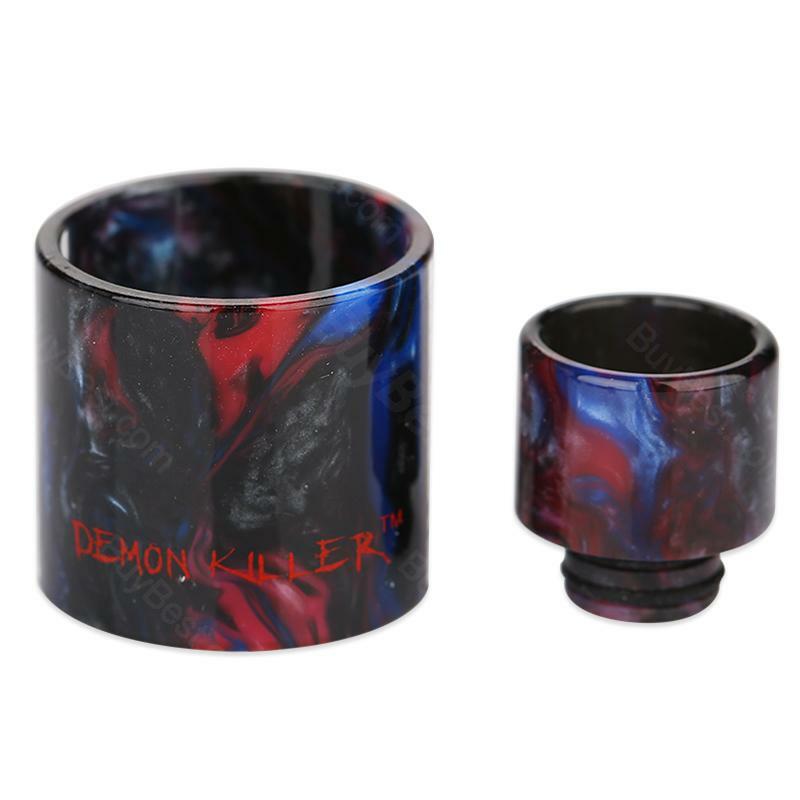 Demon Killer Resin drip tip and tube is made of resin material. Random color. The tube is of 3ml capacity. Demon Killer Resin Tube & Drip Tip for TFV8 Baby - 3ml. The spare part is made of resin material, so it has various colors. It consists of a drip tip and a tube, which is well-designed with an unique pattern. • It is for TFV8 Baby. Makes my tfv8 baby much more nice looking lol. WOW! This resin tube looks beautiful! Demon Killer resin, whatever its name is, the little part looks great and well made! A tube and a drip tip for tfv8 baby.